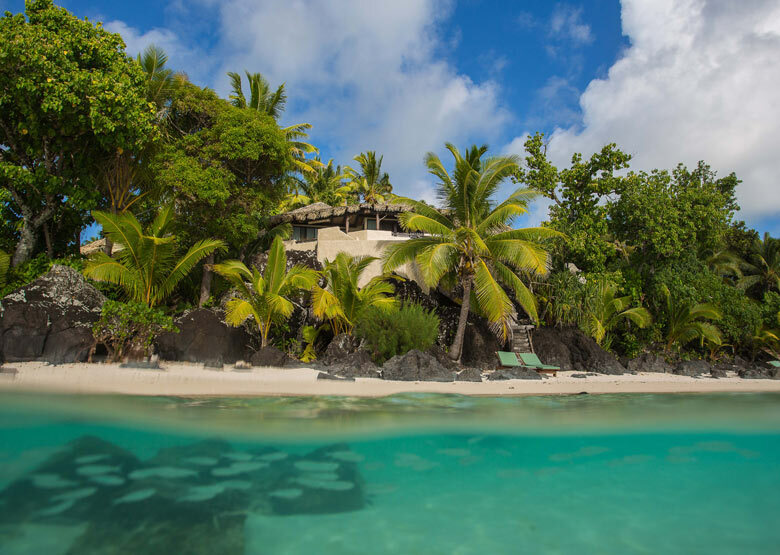 Secluded Luxury … Pacific Resort Aitutaki is an enclave of romance, refinement and luxury that beckons even the most discerning traveller. Like a siren of the Pacific, Aitutaki seduces you. 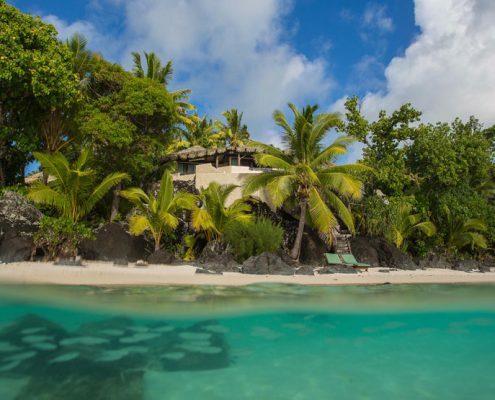 This magical place in the South Pacific is home to Pacific Resort Aitutaki – the “World’s Leading Boutique Island Resort” (World Travel Awards 2008 & 2009), “Australasia’s Leading Boutique Resort” (World Travel Awards 2007, 2008 & 2009) and a member of the Small Luxury Hotels of the World collection. 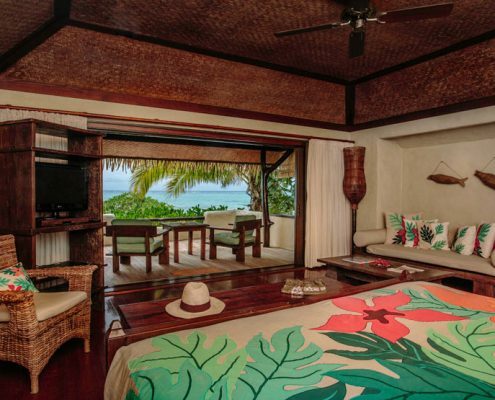 Pacific Resort Aitutaki is limited to just 27 luxurious absolute beachfront bungalows, suites and villas, all with their own personal, panoramic view of Aitutaki’s world-famous lagoon and where each sunset majestically colours the ocean beyond. 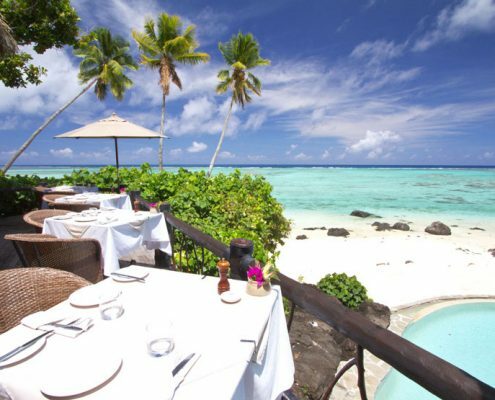 If the tranquil island setting soothes your soul, the cuisine will fire up your palate. 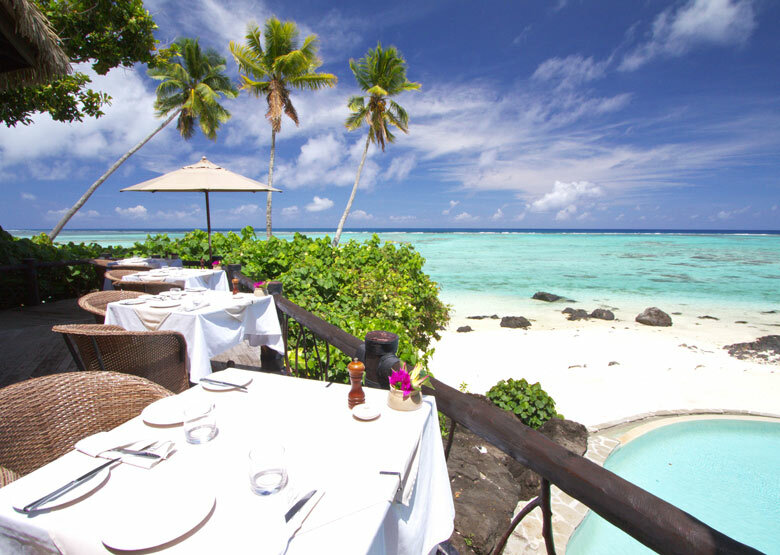 The signature Rapae Bay Restaurant features the very best of tantalising South Pacific cuisine, complemented by superb attention to detail in every exquisite menu. 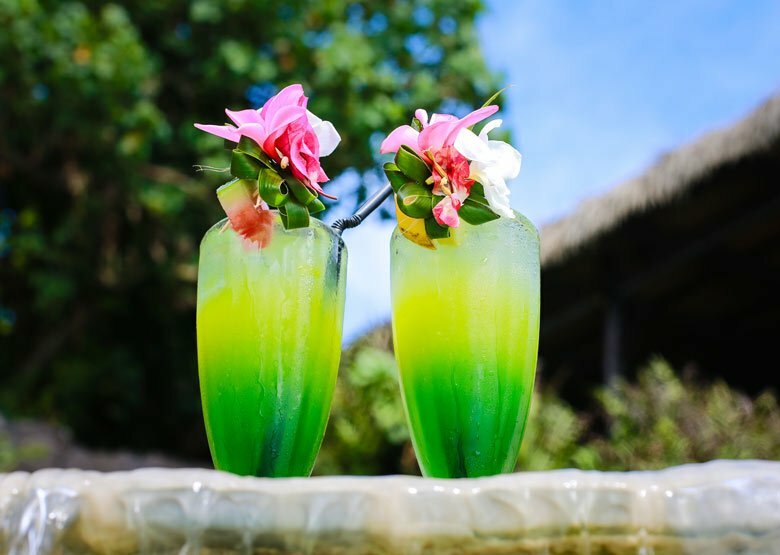 There is plenty to keep you entertained at Pacific Resort Aitutaki. 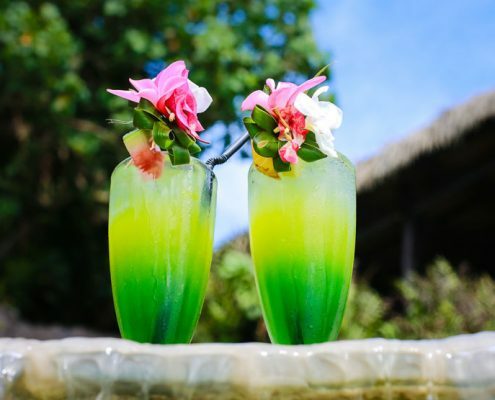 Swim, snorkel, kayak to a secluded cove, enjoy a romantic picnic for two, do some morning laps in the resort pool, luxuriate in a Polynesian massage or beauty treatment, sip on a tropical cocktail, watch the magical sunset, or hire a scooter and explore the island. 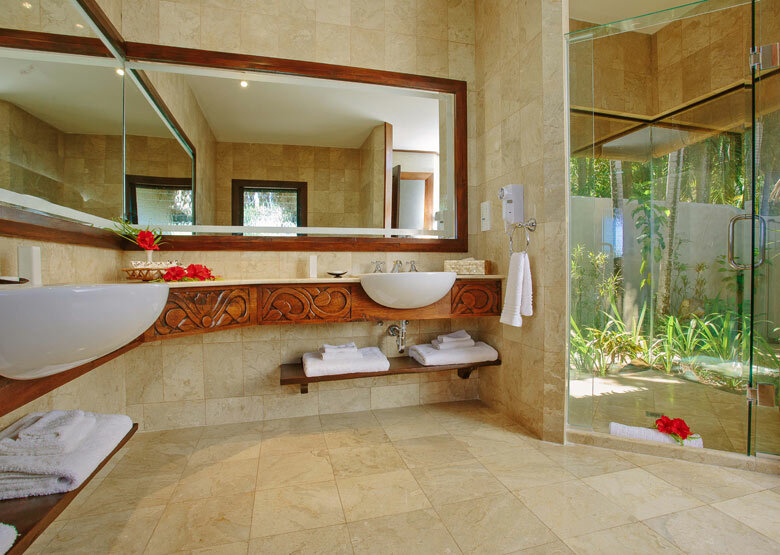 Do what you want, when you feel like it … this is your dream holiday. 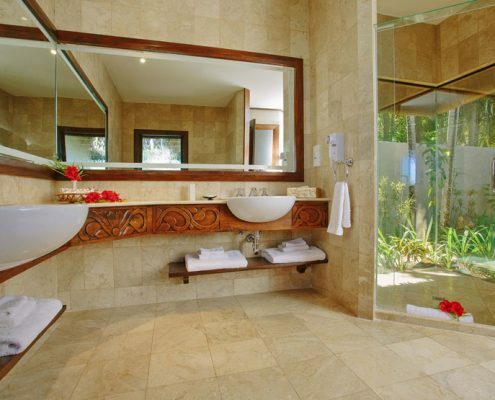 This exclusive, romantic sanctuary will hold you in its spell forever. 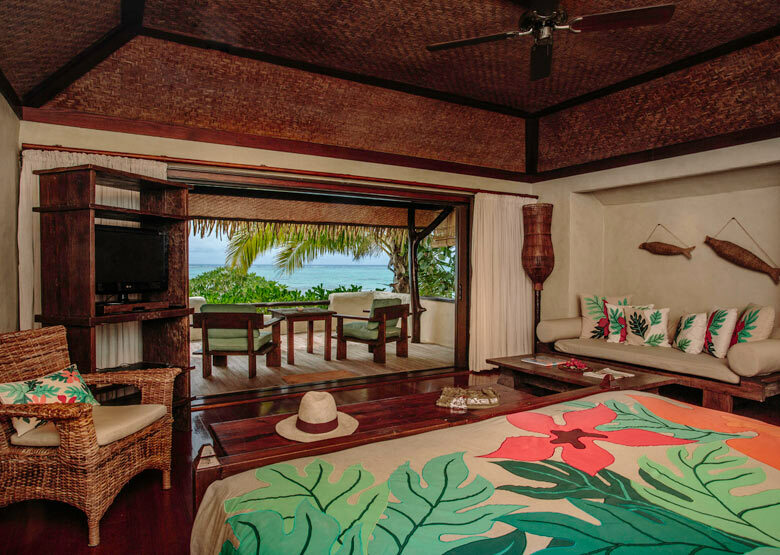 Rooms: 29 in total – Premium Beachfront Bungalows, Ultimate Beachfront Suite, Ultimate Beachfront Villa, Ultimate One Bedroom Beachfront Bungalows, Ultimate Two Bedroom Beachfront Bungalows. All rooms feature: super king bed • air-conditioning • ceiling fan • tea/coffee making facilities • IDD phone • wireless internet access • TV/DVD (satellite TV channels and in-house movie channels) • mini-bar • private deck • in-room safe • ironing facilities • insect screens • hairdryer • BVLGARI luxury bathroom products • bath robes • beach towels • aromatherapy oil burner (suites and villas only) • work desk • evening turndown service.